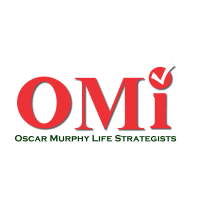 Assess where you stand on the Competency Scale through Assessments, Interpretation and Reflection, presented by OMI (Oscar Murphy Life Strategists) and Powered by The Assessment World. Are you facing problems at your workplace? Do you feel dissatisfied with your job? Are you unable to give your maximum performance in your job? Most of us struggle with the existing difficulties without giving a thought on why it happens, choosing instead to plough on and make the best of a bad situation. This has a negative impact on our workplace and personal space. Broken relationships, depression, physical illness etc are the after effects of leading such a life. Now the question is "why does it happen?" It is because you may not be doing the right job; Or your job doesn't motivate you! So how do you understand who you are and what are your strengths? 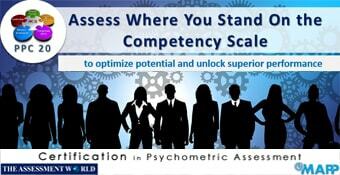 PPC20 is a psychometric tool based on Richard Boyatzis' model for competencies and effective management. It helps to understand how one views himself/ herself, typical aspects of behaviour and what motivates him/her to exhibit such behaviours. Being a trainer, mentor, coach, teacher or any other professional, PPC20 can be successfully used to measure key competencies of people and help them improve in the identified areas. It can be used in leadership training, change management and goal setting by understanding the strengths and weakness of individuals and empowering them on their strengths. Organizations can make use of PPC 20 for measuring competencies against their job roles thereby employing right personnel at right place. Individuals can take assessments to get an insight on their abilities and seek professions which suit them. People Performance Competency 20 - measures 5 Meta Performance Competencies - Managing Change, Planning & Organizing, Interpersonal Dynamics, Result Orientation and Leadership. (20 sub-competencies are Initiative, Innovation, Risk taking, Flexibility & Adaptability, Planning, Analytical thinking, Decision Making, Quality Focus, Oral Communication, Relationships, Sensitivity, Team Work, Achievement, Customer Focus, Business Awareness, Learning Orientation, Authority & Presence, Motivation, Developing people, & Resilience). 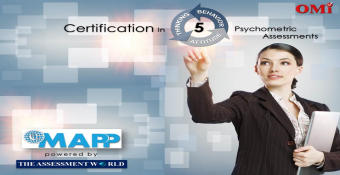 It is a quantitative commentary on the extent of development of various competencies. Focus on strengths to get the best from people. I went through the report prepared by OMi. I am immensely satisfied with the analysis. It has given me direction to decide on my career. I am grateful to OMI for the great service.